At the time of writing we have eight games left to play, four at home and four away and with 24 points still to play for we can at least aim to finish in the top ten for the fifth season running which would be an incredible feat for a club of our size and standing, and highlight just how much we have been punching above our weight and making a little go a very long way indeed. The last year has seen a grudging acceptance and even appreciation of our methods, playing style, ethos and business strategy from many former sceptics from within all areas of the football world and a top ten finish would emphasise just how great our achievements have been and the progress we continue to make both on the field and off. Can Neal Maupay reach the rare and coveted 25 goal mark in the Championship? What an achievement that would be. Gary Blissett scored a remarkable 21 league goals in the 1992/93 First Divison relegation team and Neal trails him by a mere one goal at the moment. Maupay has been grossly overworked given the lack of other striker options – another deliberate policy that has merited much debate both pro and con, and can he retain the energy and drive to increase his goal tally over the matches that remain? Giving Emiliano Marcondes, who has had nothing but bad luck since he joined the club, the chance to prove that he is a major talent and crowd pleaser who will enhance the team and prove to be a star next season. Demonstrating to the likes of Henrik Dalsgaard, Kamo Mokotjo and Romaine Sawyers that our ambitions remain unchanged and convincing them to buy into our vision by extending their contracts with the club beyond 2020 as long as we do not receive attractive offers for them this Summer. Appreciating just how much Head Coach Thomas Frank brings to the team and club. We are fortunate to have such a decent, grounded, intelligent and talented man at our helm – and apologies for ever doubting him! Rejoicing in the sheer quality of the football that we are privileged to enjoy at Griffin Park- we are the envy of so many other football fans forced to stomach and endure far thinner gruel. I have always found that it is better to allow some breathing space and thinking time and allow heated emotions to cool down in order to take stock of a situation in a calmer and more rational manner before committing my thoughts and opinion to paper. Now, a day or so after yet another home defeat and shambolic defensive performance by Brentford the dust has settled and it is time for the future of the hapless and indeed luckless Head Coach, Thomas Frank to be discussed. On the face of it the evidence is damning. His record since taking over from Dean Smith is appalling and would appear to make his position untenable. He has been in charge for nine games now of which only one has been won, one drawn and seven lost with four points gained out of a possible twenty-seven. Brentford, a team that traditionally dominates at home and boasts an excellent record at Griffin Park have lost four out of his five home games and have now conceded an eye-watering eighteen goals with only one clean sheet and thirteen goals scored in Frank’s reign. He has been in charge now for the equivalent of a fifth of the season and his record, if continued would equate to a miserable total of twenty points over the course of an entire season. The Bees have never lost by more than a single goal since his appointment and have performed well in parts of most of his matches but have done just enough every time to guarantee defeat and in most cases have committed defensive hari-kari and contributed greatly to their own downfall. Seven goals have been conceded from set pieces and both defensive organisation and cover have been sadly lacking. Brentford came into Saturday’s match boosted by a last minute equaliser and unexpected and unlikely point from their draw at West Brom on Monday night, a game in which they were totally overrun and battered for the opening half. They needed to build on that fortuitous result and make a good start against a Swansea team also lacking confidence after a poor run lately. So what happened? Straight from the kickoff a truly soft and avoidable self-inflicted goal was conceded after a mere twenty-five seconds, caused, yet again by overplaying at the back and losing possession in a dangerous position. The heads went down straight away, the crowd were on the players’ backs and the agenda for yet another desperately disappointing afternoon was set. A second goal, well worked though it was came soon after with Brentford (through Watkins and Dalsgaard) failing to track runners and the ball being put into the net by the hapless Chris Mepham and a third arrived after a totally unnecessarily conceded and appallingly defended free kick in a dangerous position when the ball was about to go harmlessly out of play for a goal kick. Total madness and lack of discipline. The three goals were scored in the opening twenty-seven minutes – no wonder Frank described the opening of the game as a “horror movie.” Not for the first time Brentford conceded goals in quick bursts, something also done lately against Preston, QPR and Sheffield United. The heads went down after the early goals and an on-pitch team talk apparently instigated by Henrik Dalsgaard, the culprit for the third goal, went some way towards restoring a vestige of pride and ensuring that the team started to fight rather than slink off the field, which is what several players appeared to want to do at the time. So much is wrong about the team, and indeed the club at the moment and given the weight of the problems, some of which were totally unexpected such as the tragic death of Robert Rowan and that, allied to the impending departure of Chief Executive Mark Devlin and the loss of Dean Smith to Aston Villa have all contributed to a perfect storm and a sense of turmoil and uncertainty. 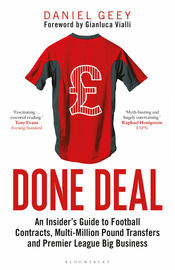 Given the evidence outlined above and indeed the ineptitude being displayed on the pitch, it would appear a total no-brainer to send Thomas Frank on his way, and do it quickly too before the rot sets in and the club sinks like a stone. With a new stadium on the horizon, relegation is unthinkable and yet, in a season when it was realistically hoped that the Bees would indeed leave the Championship, but from the other end of the table, the doomsday and nightmare scenario has to be at least contemplated and steps taken to ensure that it does not occur. Brentford have rightly prided themselves for making calm, rational, measured and enlightened decisions and of never being guilty of knee-jerk reactions. The league table does lie, they say and instead refer to their own so-called League of Justice which provides a more accurate description of how the team is doing and where it should be in the league. No action was taken after the run of eight games without a win at the start of last season because it was obvious to all observers that this was simply a statistical anomaly that would eventually correct itself given the quality of Brentford’s performances. Now the situation is surely different. The Bees are dropping like a stone, confidence is naturally at a low ebb and performances are declining and deteriorating with much of what was displayed in the last two home games against Sheffield United and Swansea being totally unacceptable and a massive decline form the early season form. If this was not all bad enough worrying if unsubstantiated rumours emerged last night on a fans’ website forum of indiscipline at the training ground with some players apparently arriving late for training and allegations that they are not buying into the new head coach. As I said these are all rumours and scuttlebutt and perhaps should be treated with contempt or at least suspicion but some might say that there is no smoke without fire. I met Thomas Frank very briefly after the Sheffield United match last season and found him pleasant, polite and highly intelligent company. There is absolutely no doubt that he is a knowledgeable and enlightened football coach with an excellent track record. From listening to his press interviews my doubts are about his ability to communicate his thoughts and instructions concisely, clearly, colloquially and memorably to a predominately young set of players with probably very low and limited attention spans. English is not his first language and I suspect he finds it hard to get his thoughts over as well as he would like particularly in the key but short periods of time available immediately before a game as well as at halftime. The ability to instruct, lead and inspire his team is a necessary prerequisite for a head coach and it might be, given his language difficulties, he is not able to exhibit the necessary man management and communication skills. Unfortunately, however talented a coach he is, Frank is not Dean Smith, a father figure to the squad who provided a winning combination of humour and firm leadership and commanded instant respect. Nobody mucked around on his watch. As far as I am aware Dean Smith was the number one who delegated some of the coaching duties to Thomas Frank who also contributed his views to the tactics and team selection but was never the main man. It was Smith who gave the team talks and final instructions to the players. Richard O’Kelly was the traditional number two who acted as a sounding board, buffer and shield where necessary between Smith and the players and gave the manager his total support. Frank was the man with the clipboard providing valuable tactical input but was never the front man. Now he has been pushed into a role that, in all fairness, he performed well at Brondby but that was in an environment that perhaps he was far better equipped to thrive in. It is always hard for a number two – or even number three in Frank’s case to take over the top job. Players have perceived him in another role and some promoted coaches find it hard to adapt to the added role and responsibility. The fans are also beginning to voice their displeasure and concern at the current situation and gates are starting to decline. Warning signs that should not be ignored. I have taken the best part of fifteen hundred words to examine the situation as rationally as I can and it hopefully has not come over as a diatribe against Thomas Frank who is an excellent coach and football man but the evidence against him is certainly strong. In his defence is the chaos behind the scenes and the appalling tragedy of Robert Rowan’s death which has understandably cast a pall over everything at the club. The injury list is brutal and never ending with Marcondes and Macleod the latest potential long term absentees. As soon as some players come back others go down. The luck has been totally against him. The club’s strategy of having a smaller but higher quality squad this season has so far not worked given the influx of injuries. Around twelve of a diminished squad have missed large chunks of the season so far through injury ensuring that the head coach cannot change things around as he might like to do so – it is more a case of trying to get eighteen fit bodies onto the pitch. It could also be said that parts of the team are still functioning reasonably as we still look dangerous going forward and it really should not be a Sisyphean task to get the defence to do its job better. Frank had also been at the club for a couple of years. The directors of football knew how he worked, as did the players. He was a known entity and it was obviously felt that there could be a successful and seamless transition after Dean Smuth’s departure. It is also not Thomas Frank who is making those repeated and infuriating errors on the pitch which are costing the team so dear and the players have to take a large share of the blame for not executing his instructions and for brain fades, but unfortunately the buck stops with the head coach. I would state categorically that in essence, having taken everything into consideration, with regret, as Alan Sugar would say, he has to go. But it is not as simple as that. Dean Smith, the last head coach, was recruited from outside and his appointment took a couple of months to come to fruition with at one time Pep Clotet also in the frame. I also do not know if he was headhunted or applied for the job. Since his arrival all the new assistant coaches have been recruited from Scandinavia – perhaps from the contacts of Rasmus Ankersen. There is talk of a new assistant coach to come in now to help Frank, particularly in terms of defensive organisation and the names of Lee Carsley and Keith Millen have been mooted. They might provide a short term boost, particularly Carsley who was massively popular with the players during his previous spell at the club but he is his own man and perhaps might not be considered to be reliable enough. Millen has a decent reputation but again is probably an unknown quantity to the Directors of Football who might have found it difficult to verify his credentials. They, or even a Michael Appleton, might help Frank communicate his messages more clearly as well as add their own contributions particularly about strengthening our defensive performances. But would they even want to come if they felt that the Head Coach was perhaps on borrowed time, unless of course they felt they could take over as number one? My other key question is to ask if we have the necessary contacts to recruit the best possible candidate to become either an assistant or even head coach? I might well be wrong, but I have my doubts, particularly given the loss of Robert Rowan who was particularly well connected within the game. If Frank was to go then I doubt if we would know where to turn and that to me is the main problem. I suspect we have been caught with our pants down. The powers that be expected Frank to be a success and therefore have no Plan B ready to implement. Frank was always going to be the Dean Smith replacement and ideally we would have had plenty of time to groom his eventual replacement, perhaps another internal appointment such as Kevin O’Connor. Perhaps bringing in a new assistant would provide a sticking plaster or a short term and temporary boost but it is unlikely on present form to provide the solution we require. I do feel on the balance of probabilities if not with a sense of absolute certainty that Thomas Frank is not on the evidence we have seen so far, the man to take us forward. That is all very well but I also believe that we will have a massive problem in replacing him and that will be a process that will take time as well as a level of contacts and an expertise that we are currently short of given our diminished resources. So where to we go? Do we stick or twist? Frank obviously thinks he will be given as much time as he needs as he answered “the whole season” when asked over the weekend how long he had to get things right. I am not sure that is or even should be the case. I think that whilst we should definitely twist, we are unable to do so straight away without perhaps holing us even more seriously below the waterline. We would run the risk of a leadership void in the key run in before Christmas. Unfair to a decent man though it is, we should keep him in post for the time being, and certainly bring in a Millen or Carsley to help him in the short term. Give him the opportunity to turn things round in the next couple of crucial and eminently winnable games against Hull and Bolton. However we should be aware that unless things improve immediately – and for all Frank’s positive words I see very little evidence of that happening, then strenuous efforts have to be made immediately behind the scenes to begin the long and arduous due diligence process required to find an eventual replacement whether it be from home or abroad. This might seem unfair and position Thomas Frank as Dead Man Walking, but it is what it is. if he decides to leave in the meantime of his own volition then so be it. He has not been able to rise to the challenge, and unfortunately at this juncture he appears to be a victim of the Peter Principle. It is not all his fault, as he grasped a poisoned chalice given that the situation was already deteriorating in the last days of the Dean Smith reign and everything that can go wrong has subsequently done so. I want my club to always behave in a honourable and above board manner but Brentford FC is bigger than any one individual. The search must begin now for the new Head Coach. I really don’t think anyone either at the club or supporters alike needs any reminding that Brentford FC is currently on the crest of a slump after a truly horrid run of six defeats in seven games since Thomas Frank took over the reigns as Head Coach in October. What is more important is coming up with a strategy to help arrest the slide before it becomes terminal. So here is my action plan which would hopefully help do the trick. Accept that there are issues that need addressing urgently but keep calm and don’t panic – we have all been here before. Remember that ghastly run of only two wins and a solitary draw in thirteen games in early 2016, yet we recovered and finished the season in sparkling form with seven wins in the last nine matches. We CAN and WILL recover from this as good players do not become bad overnight and our squad is jam-packed full of excellent players. There were murmurings from within the club after the Sheffield United game about the negative reaction by the crowd to Tuesday’s game. I know it is hard when we lose after a truly dire and insipid performance but we all have to stay together and, to use a cliche, “Keep the Faith” however hard it is to do so. Thomas Frank and the squad are obviously well aware of how badly things are going and really do not need any reminding from us fans. Frank has also been working with one hand tied behind his back given the length of the injury list and the fact that, Sod’s Law, it is many of the most valuable players that have been affected. The tragic death of Robert Rowan should also help put matters into context and perspective and his loss has understandably had a deep effect on everyone involved with the club, both on and off the field. In other words cut them all a bit of slack! Get Thomas Frank the extra coaching help he desperately needs. There is a gaping hole alongside Frank and Brian Riemer both on the bench and at the training ground. We need another experienced Assistant Coach who understands and has good knowledge of the Championship, someone who can ideally organise a defence and can speak to the players in their own language. Thomas Frank is an excellent coach but I wonder if a native English speaker might help him get his ideas and instructions across more succinctly and pithily particularly in the crucial moments immediately before a game and at halftime. Keith Millen has been a constant presence at recent Brentford matches. He has vast experience and an excellent reputation, knows the club and the division well, is a clear communicator and would fit the bill, as of course would another former club employee in Lee Carsley, if he were also available. We have conceded by my reckoning six goals from set pieces in our last seven games – a truly shocking and frightening figure which clearly demonstrates our lack of organisation and concentration. I know that there is a lot of hard work going on at the training ground to address this problem, including a double session yesterday, but I would strongly advocate that we drop our zonal marking policy and go man-to-man. We lack height and strength throughout the team and allowing taller opponents a free run at the ball is costing us dear. For a variety of reasons we have recently lost leaders and talent throughout the club. Dean Smith understandably left for so-called better things, Robert Rowan is no longer with us and Chief Executive Mark Devlin is also on the verge of leaving the club after seven years of exemplary service. You can’t lose people of this calibre without there being a hopefully temporary negative impact. Dean was a popular figure at the training ground whose very presence commanded respect. He knew his job inside out and was an exceptional man-manager who apparently made a point of making the time to speak individually to every player each day. He was a leader and an inspiration and his are tough boots to fill. Thomas Frank has to rise to the challenge, move out of the background and prove that he too is a leader and motivator rather than just a talented coach. Can he adapt to becoming THE man rather than a number two. He did it at Brondby so hopefully he will succeed given time, encouragement and support. It is far too soon to even begin to guess how Robert Rowan can and will be replaced as his personality, influence, knowledge and contacts will be greatly missed. A new Chief Executive will also take time to be recruited and start in post. Perhaps in the meantime it would be helpful and supportive for Phil Giles to base himself at the training ground for the next couple of months where he can be seen and consulted on a regular basis. The appointment of one or more Club Ambassadors might also be helpful not just in terms of PR and fan engagement but also in providing the benefit of their broad knowledge and experience of the game. Mark Bright performs a similar role at Crystal Palace. There are several potential candidates such as Dean Holdsworth, Marcus Gayle and Nicky Forster. The goalkeeping situation has to be addressed as Daniel Bentley had gone from being one of the best goalkeepers in the division to amongst the worst. Why? He appears to lack confidence and he is constantly making poor decisions and he is even struggling with shot-stopping which is the most straightforward part of a goalkeeper’s game. Thomas Frank has made it clear that Bentley is his first choice when Dean Smith had given an opportunity to his deputy, Luke Daniels, who seemingly did little wrong. Bentley should be responding to the faith shown in him and performing better than he is and his body language is also not encouraging. All that has changed from last season where he recovered from a dodgy early season spell is the appointment of a new goalkeeping coach replacing the long-serving Simon Royce. Perhaps his current inconsistency is simply as a result of getting used to the different methods employed by a new coach but it is crucial that a goalkeeper goes out onto the pitch boosted and full of confidence and feeling that he is both supported and rated. Is there something in the current set-up that needs examining? Romaine Sawyers has been appointed as team captain replacing the captaincy by committee policy introduced by Dean Smith which in itself recognised the lack of a true leader in the squad. We have a young team that would not respond well to a constant bawling out and finger pointing but is Romaine still the best choice? Has Chris Mepham got enough on his plate at the moment without the added burden of the captaincy? Brentford’s medical team is rightly recognised as being dedicated and totally professional. Would it be fair to suggest that after Scott Hogan broke down with a re-occurence of his cruciate injury soon after returning to training that every possible care is taken to ensure that players do not return to action until they are absolutely certain that they are ready? Could the likes of Rico Henry and Josh Dasilva be given an opportunity sooner rather than later? There is work that needs to be done with the midfield which is currently not firing on all cylinders and lacks balance. Lewis Macleod has surely underperformed and sleepwalked his way out of the team and Josh McEachran totally divides opinion. Many feel that Ryan Woods has not been adequately replaced and that we miss his ability to anticipate and snuff out danger and set the attacking tempo. Kamo Mokotjo is badly missed as he could in my opinion provide experience, a much-needed shield for the beleaguered back four as well as use the ball well. He could replace McEachran who is perhaps a luxury we cannot afford at present. Romaine Sawyers looked reinvigorated on his return to the team on Tuesday and brought us vision and movement. He will also be relishing the opportunity to play against his former team West Bromwich Albion on Monday. Josh Dasilva would certainly be a gamble as he has yet to start an EFL match but from what we have seen in his brief appearances he would provide a strong and positive box-to-box presence that is sorely needed. Perhaps Frank needs to be brave and take a chance on him lasting a full match. Until Ollie Watkins, Said Benrahma and to a lesser degree Marcus Forss return from injury our choices up front are sorely limited. Sergio Canos lacked both energy and discipline on Tuesday and his non-performance raised many questions about his fitness and attitude. Alan Judge is surely a short term solution. We desperately need a fit Ollie Watkins to provide strength and support to the ever-willing and dangerous Neil Maupay and on his return Benrahma need to prove that he is more than a peripheral influence flitting in and out of matches and also demonstrate better self-discipline. Without them I would play Moses Odubajo or even the seemingly forgotten Josh Clarke on the wing although it is possible that Watkins and Benrahma will return to the squad on Monday. Emiliano Marcondes has already proved to be an influential impact substitute who has shown increased determination although is hard to see where he fits in as a starter at the moment unless he replaces or partners Sawyers as a Number Ten. Rico Henry has been back in training for quite a while now and would provide balance and attacking brio at left back and must surely replace poor Yoann Barbet who suffered a ghastly game against Sheffield United. Until Julian Jeanvier recovers from a troublesome and unspecified hip problem we have little option but to stick with Chris Mepham and Ezri Konsa who are two brilliant individuals, both eventually bound for the Premier League, whose partnership is currently far less than the sum of their parts. Hard though it is we need to try and start playing the Brentford way again, something that we have seen less and less of recently. We thrive on slick, quick short passing and potent wing play to create space and pull teams apart, but this is something that has largely disappeared lately as we have been hamstrung by lack of confidence and that injury list. We have become slow and predictable and allowed grateful opponents time to form two solid banks of four to thwart us. The sooner we are able to get key players back onto the field the better our results will be. The elephant in the room is the January Transfer Window in which there are a frightening number of permutations. Do we stick or do we twist? Will clubs meet our high valuations for our most attractive players in Mepham, Konsa, Maupay and Watkins. How many can we afford to sell? How easily can we replace them first? How do we maximise value from the large rump of players who will be out of contract in either 2019 or 2020? Can we keep them motivated? Brentford traditionally do not like spending in January at a time when prices are inflated. Will we keep to the model or maybe break the mould and bring in some much needed experience? Can we afford to buy home grown players or only rely on foreign gambles who do not demand the wages we cannot afford to pay? Will we change our policy and loan in players to provide a short term boost and fill gaps? It is likely that there will have to be a major squad rebuild at the end of the season but what happens when largely depends on our results in the short term and how we address our current poor run. Watch this space for a more detailed analysis in the next month! The situation is worrying in the extreme but not yet drastic. We need to keep believing in what we are doing, but also change what is patently not working – and that is probably more than the mere tweaks initially promised by Thomas Frank. I have made a few suggestions which would hopefully improve rather than aggravate matters. What does everyone else think?